Recently I visited Hawaii for the 45th annual Kona Coffee Cultural Festival, an event where farmers come together to share their coffees and, of course, spend time talking shop and making friends. For me it was an opportunity to taste some of the best coffees that Hawaii has to offer, as well as to catch up with some old friends. I used to live in the state (from 2008-2012) and when I competed in the barista competitions in 2011 Hawaiian coffee was the focus of my presentation. My final placement that year was 2nd in the World Barista Championship. You can see the Livestream video of that presentation here. On this particular trip my primary stop was Kona. 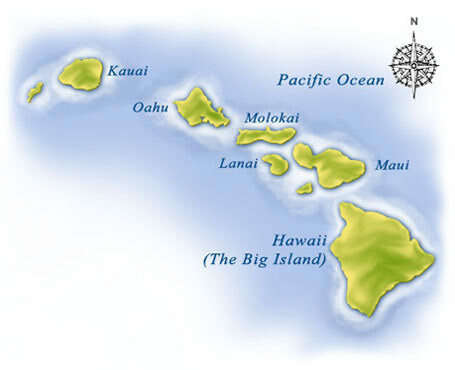 The largest island in Hawaii is actually called “Hawaii”, so in order to avoid confusion most people just call it The Big Island. 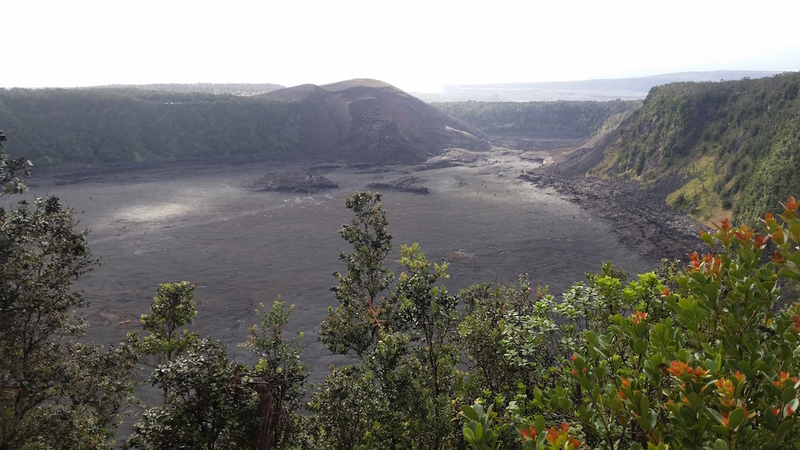 The Big Island is the home of some of the most spectacular sights in the entire state, including the Mauna Kea observatories, Volcanoes National Park (showcasing the work of the Kilauea volcano), cattle ranches, black sand beaches, and of course the most well known coffee growing region in Hawaii; Kona. If you are anything like myself, you were probably introduced to Kona coffee a while back as a rather mild, yet exotic, high-dollar offering alongside Jamaica Blue Mountain coffee on cafe retail shelves. You may have noticed that all Hawaiian coffees tend to cost a lot, which many equate to better coffee, but is mainly a product of high land, labor, and equipment costs. Oahu, Maui, Kauai, and Molokai have all offset some costs by relying on harvesting machinery (the same type used in Brazil) rather than the traditional handpicking method. The Big Island simply cannot utilize this machinery because the farm land tends to be too rocky and steep, therefore leading to more hand picking, ie.- much higher labor costs. Keeping in mind that Hawaii is held to the minimum wage standards of the USA, this means that the coffee simply MUST cost more than those coming from most other coffee producing countries. The subject of farm worker wages abroad is an important one, but will wait for another post. 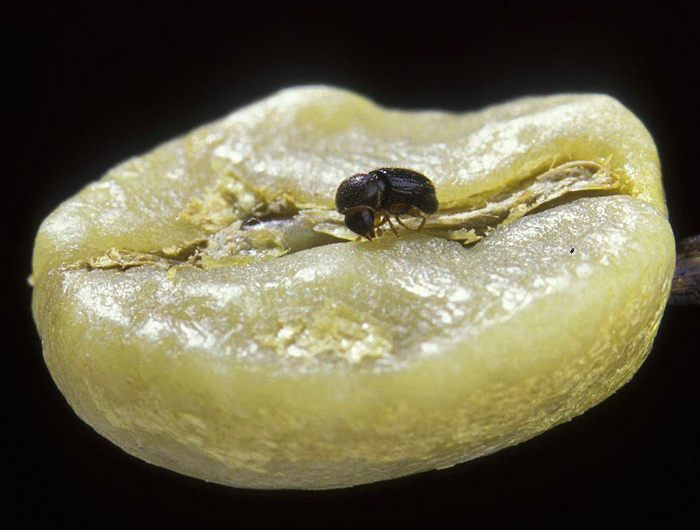 In recent years Hawaii has also suffered from the invasion of a coffee pest, known as the Coffee Berry Borer (or CBB), which has lowered yields as well as overall quality in addition to raising prices all around. This year the farmers seem to be handling the pest a bit better than when it was first discovered, and fortunately the potential quality is starting to rise back to what it once was. Recovery will still be a long process however. Luckily for Kona (and other Big Island coffees such as Ka’u and Puna), which have been hit the hardest by CBB, the growing areas tend to produce better quality coffee than the other less expensive islands. The higher elevation and temperature variances are known to produce a sweeter, more vibrant cup. Add in (hopefully) better picking methods done by hand, and these Big Island coffees should fetch a higher price. Many assume that Kona is just another name for Hawaiian coffee, or that it is a quality standard. The truth is that Kona is merely one growing region of many in the state. Beyond that, the quality level has to be free of visible defects (damaged beans, off colors, etc) in order to reach the highest “grade” of Kona coffee. There are subtly different grade levels that can still legally be called Kona, but it doesn’t take too many defects before that coffee is considered inferior and must be sold as “Hawaiian Coffee”, which fetches a much lower price and demand. While there were plenty of hula dances and chances to hand pound poi (a traditional Hawaiian staple food) at the Kona Festival, my primary focus was the serving as a judge in the cupping competition, designed to crown the best quality green coffee in Kona according to the Kona Coffee Counsil. Most 100% Kona offerings are typically roasted a little darker roasted than what has become the “Specialty Coffee norm” on the mainland US. Others are extremely dark roasted. These coffees are often brewed in a way that overextracts the flavors. By using too much water it makes the bitterness from the roast lighter, but creates a thin cup of coffee. I truly enjoy the very pleasant and kind folks who farm and sell coffee in Kona, but my goal is to find the best coffee. This is the predicament of evaluating coffee all the time. However, despite how critical my opinion can be, I am seeing some hopeful improvements in Kona coffee quality. Newer coffee roasters who have a successful background in getting the best from their coffees are becoming more and more present, and some of the more traditional companies are taking note and offering more range in their products. All in all, there are in fact a few great places to try out the only commercially grown coffee in the United States. If you have visited Kona in the past you may have had a good experience. Hawaii falls into a category similar to Italy in my mind. That is to say that it is a highly sought destination with copious amounts of romanticism to it. The experience of sitting in the sun with a breeze blowing gently over you, birds chirping, scents of plumeria flowers wafting past your nose, and a light Hawaiian song featuring an ukelele playing in the background probably sounds a lot like paradise to you. It certainly is a pleasant aspect of being in a place like this, and this type of setting has an effect on your ability to enjoy what is in front of you. Specifically, the flavor of that simple cup of coffee in front of you matters a whole lot less when you are taking in the beauty of the islands. “Is that really a problem?” you might ask. Since my job is to find the best coffee for you, and ultimately promote quality as a foundational and desirable trait, the answer is “It is definitely a problem!” Imagine you enjoyed that cup and bought yourself a full pound of whole bean coffee to bring home as a treat. Once you get home, does it taste as good as you remember? Or even more serious for us, what if Roast Ratings rated a coffee highly and you had a bag delivered to your door? Would you be satisfied with your purchase if it tasted no better than a bag you could purchase at your local grocery store (and for a far lower price)? For that reason I would like to present you with a few places to look to the next time you might visit Kona. When seeking a quality cup of coffee in Kona you actually have the option of visiting a cafe or driving to a farm to learn about how coffee is produced at the same time. This is actually likely an easy decision you can make by simply asking yourself if you would rather sit and relax, or be up and active. Obviously cafes are a place to sit, relax, and perhaps get a bite to eat. Coffee farms on the other hand tend to feature tours of the trees, a chance to ask questions about coffee cultivation, and of course taste the coffee and decide if you would like to buy a bag to take home. Most farm tours are free, and they come with free tastings of the coffee. Of course if you want a full cup of brew or an espresso drink such as a latte you will be better off just heading to a cafe in the first place. Daylight Mind is one of the newest coffee roasters in Kona. Located on a dock directly over the water, this cafe/restaurant is a beautiful place to enjoy the sounds of the ocean over a cup of coffee. They have a full kitchen menu available, as well as fresh baked bread to choose from if you are looking for more than just a cup. They carry a few local Hawaiian coffee options as well as blends created with coffees from around the world. Kona Coffee and Tea is one of the many vertically integrated coffee companies in Kona. They have their own farms that they manage, producing high quality green beans that they roast in house and finally prepare in their full service cafes. Check out their light roast coffee if you are in the mood for a brighter flavor profile. *Note: I have worked with Kona Coffee and Tea in the past to train their staff. Moon and Turtle is actually more of a restaurant than a coffee shop, but they do offer high quality espresso drinks as well as a refined food menu with a focus on fresh seafood. They have been getting rave reviews ever since opening and I highly recommend stopping in if you have a chance. If you are looking for a place that cuts no corners and holds quality to the highest standard, then Hula Daddy is your place in Kona. They have a beautiful visitor center where you can taste coffees while overlooking the coffee trees with a view that stretches all the way to the ocean. They have a myriad of coffee brewing devices, and you may be able to get a taste of some of their more exotic offerings brewed fresh. Hula Daddy has been growing less common varieties of coffee, including some African cultivars. Be sure to check out their “Kona Sweet” coffee if you can, which is a naturally dried offering with incredibly sweet and fruity flavors. Greenwell is one of the oldest coffee producers in Kona, and they are still leading the way in well produced green coffee for export abroad. The farm tour is relatively short but informative. You can see coffee trees, a wet milling operation, and drying patios. You can also check out the old Greenwell store and see some history when you visit. A note of caution though, the standard roasts are quite dark. One of their newest offerings, a pacamara variety romantically named “Elizabeth J”, costs a lot but has a rather nice flavor and quality roast level compared to the others. If you are not familiar with UCC, it is one of Japan’s biggest coffee brands. Their visitor center is easy to find, and they offer a unique tour. While they have a standard free tour of the property, UCC offers a “Roastmaster’s Tour” on which you roast your own 1/2 pound of Kona coffee on one of their roasting machines. 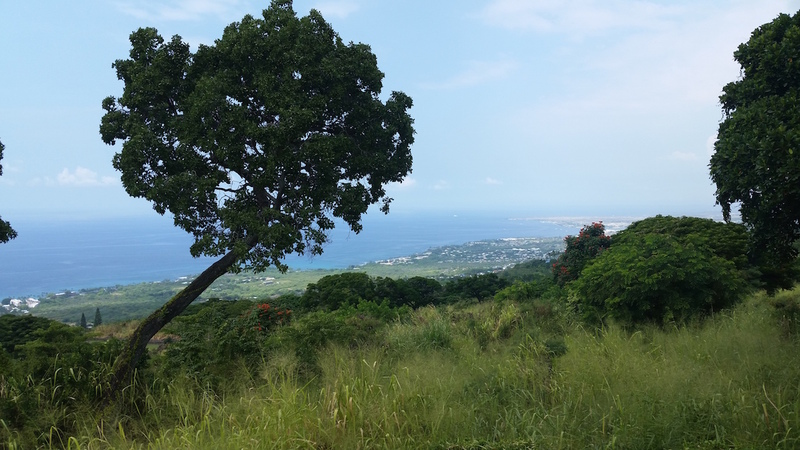 This tour costs $35/person (minimum 2 people) and requires a reservation, but can be a great experience for any who want to get a little geeky and take home a coffee they got to roast themselves. If you have never visited a coffee farm, or have never been to the Big Island of Hawaii, it can be quite an exciting place to visit. 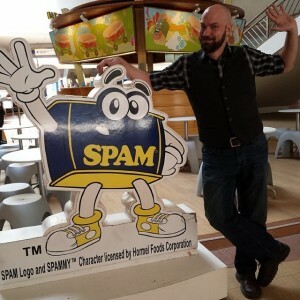 Should you decide to visit, I hope that these recommendations help guide you to plenty of tasty experiences. Not being in a major city, the coffee scene in Kona is not as fully developed as it could be. However, as the industry moves forward you will find more and more high level companies around in the future. Remember that there is certainly more than coffee to be found in Hawaii, but you never know, we might cross paths on the islands one day! Thank you for the suggestions! We will be sure to check them out!